I hope that you enjoyed Thanksgiving with your family, friends and loved ones. In a few weeks we will celebrate Christmas throughout the world and I am truly excited. I find Christmas to be one of the most magical times of the year. Perhaps it is my overall disposition, but I sense that most people are gentler and kinder. While tragic, recent events have taken their toll, I do feel that people are trying their best to welcome the holidays. I am not suggesting that “all is calm,” but I would prefer that you take this as my prayer for peace and my hope for reconciliation. As you might have noticed, it is very easy for me to get caught up in the joy of Christmas. I am looking forward to the holiday decorations I have selected; exchanging gifts with my husband, friends and family; attending several of the holiday concerts I have been invited to and watching Disney’s A Christmas Carol – which is one of my favorite holiday rituals. At the same time, I cannot forget those for whom the holidays are filled with reminders of what they currently do not have. If you walk the streets of New York City, or take public transportation, you will encounter those who are in need in everyday. 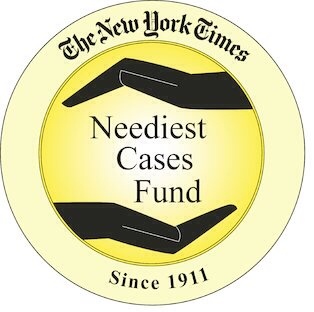 However, in addition to those I encounter daily, there are hundreds of individuals that I would never see or know about if it were not for the New York Times Neediest Cases Fund. This chance encounter left Ochs feeling charitable and curious as to whether or not this feeling could be the basis for a city’s goodwill. The next year he sent a reporter to several of New York City’s private welfare agencies to collect stories about the poor. His objective was to publish articles about the Hundred Neediest Cases in New York. The appeal would be made not with a direct request for donations, but with the facts of their lives. As it turned out, these stories sounded a powerful call. The campaign, which began on December 12, 1912, was soon adopted by other publishers in the United States and abroad. The idea was brilliant in its simplicity – a newspaper would make a general appeal for the needy and help the City’s welfare agencies solicit funds. After reading the profiles of Emie Payen, a 55-year-old woman who has defied a short life expectancy for decades; Roderick Bradshaw, a father who found a path to success while raising his 5-year old son; Ana Miguel, a woman who overcame surges of addiction and instability, and is now encouraging others to do the same; Anna Reifman, a woman who for many years was trapped within her own anxieties before learning she was not alone; Natasha Mohammed, a mother who is praised for stoking her children’s creative tendencies while struggling to say warm and Linda Malloy, a grandmother who is savoring sobriety and working to rebuild her life, it is clear that New Yorkers need help year-round. If you are looking for a cause to adopt this season, I encourage you to consider the New York Times Neediest Cases Fund. Since its inception more than 100 years ago, the fund has worked closely with several New York City charities and has raised more than $275 million. 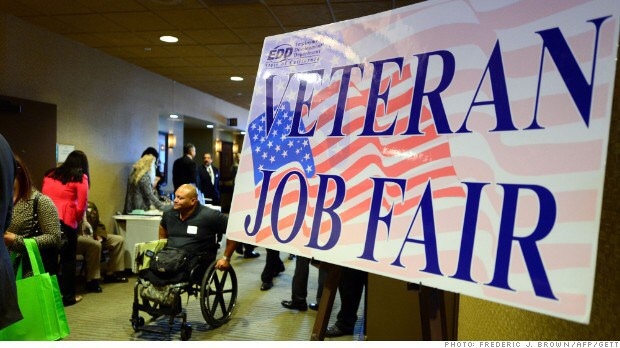 The present campaign began on November 2, 2014 and runs through January 23, 2015. Here is a list of the participating organizations. It is in this spirit of reflection that I write today’s post. I know that there are thousands of organizations, not featured on this list, that are making a difference in the lives of New Yorkers everyday. We at Brooklyn Legends salute these organizations and extend our best wishes to the people they serve. I hope that everyone had a wonderful July 4th holiday. I cannot believe how quickly time has passed. I received many e-mails with best wishes for a happy summer, and just to say “hello.” Thank you for reaching out. I truly appreciate hearing from you. For today’s post, I am pleased to share information about The Honorable Yvette Clarke, one of Brooklyn’s favorite daughters. Many residents of Brooklyn’s new Ninth Congressional District were justly proud when Clarke was elected to be their Congresswoman in November 2006. The areas that fall under her careful stewardship include Brownsville, Crown Heights, East Flatbush, Flatbush, Gerritsen Beach, Madison, Midwood, Ocean Hill, communities within Park Slope and Flatlands, Prospect Heights, Sheepshead Bay, Windsor Terrace and Prospect-Lefferts Gardens, which is where I live. I am equally excited that Congresswoman Clarke’s office is within walking distance from my apartment. There is great satisfaction in knowing that my Representative is so accessible. Prior to her election as Congresswoman, Clarke served on the New York City Council where she represented Brooklyn’s 40th District. She has the distinction of succeeding her pioneering mother and former City Council Member Dr. Una S.T. Clarke, making them the first mother-daughter succession in the history of the Council. As Brooklyn’s Representative for the Ninth Congressional District, Congresswoman Clarke stands by her commitment to the legacy of excellence set forth by the Honorable Shirley Chisholm, the first African-American woman and the first Caribbean-American elected to the U.S. House of Representatives. Congresswoman Chisholm would become the first woman of African-American and Caribbean descent to run for President as a major-party candidate. 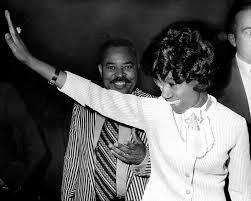 Like Congresswoman Chisholm, Clarke is an unwavering champion for the people of her native Brooklyn. While she presently holds the title of legislator, Clarke has effectively used her experiences as an activist and community organizer to become an effective leader and tireless advocate on issues of paramount importance to the people of Brooklyn; particularly jobs, immigration reform, education and housing. These are indeed weighty issues for they affect our nation. Today, I will focus on Clarke’s recent movement in the area of job creation and her fight for an increase in the minimum wage. I will share additional information with you regarding her advocacy for immigration reform, education and housing in future posts. 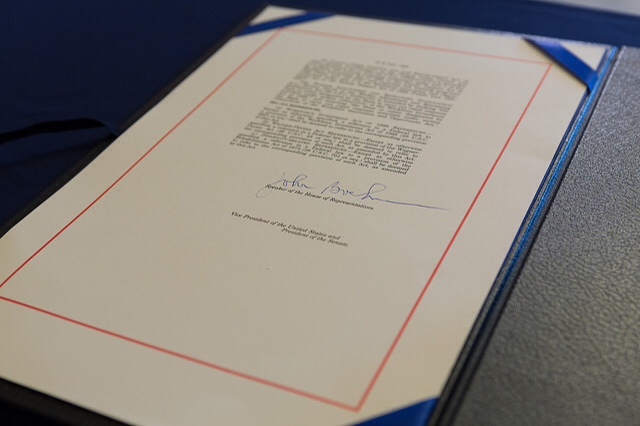 On Thursday, July 10, 2014, Congresswoman Clarke released a statement on the passage of the Workforce Innovation and Opportunity Act of 2014 – H.R. 803. The bill passed by 415 to 6. 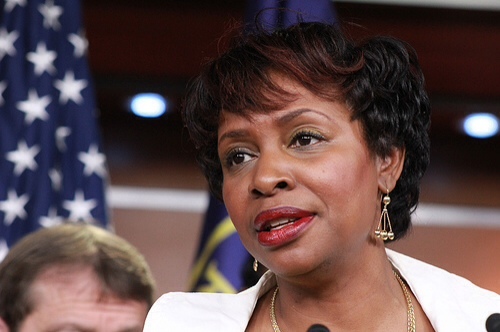 I would like to close today’s post with a video featuring Congresswoman Clarke’s plea for the passage of a Jobs Bill. For me, this is a stark reminder of why we need a dynamic leader, such as our esteemed Congresswoman, advocating on our behalf. We are all in this together! Continue to be inspired. Also, do not be afraid to add your voice to the many issues that challenge us in today’s economy. Will All Roads Lead to Brooklyn in 2016? The recent speculation around the 2016 Democratic National Convention coming to Brooklyn has everyone excited, and with good reason. Our borough is in the midst of a renaissance that we have never seen before. The completion of the new Barclays Center in downtown Brooklyn set the stage for the new burst of enthusiasm around building projects. This is a time of tremendous growth, but there have also been some challenges too, which I would love to discuss in the coming months. I remember hearing many years ago that nothing is ever as easy as it seems, and true progress comes with a price. Having said this, I chose to remain excited about the possibilities for all Brooklyn residents. Yesterday the Brooklyn Daily Eagle featured a great article that caught the world’s attention: Local politicians say Brooklyn is perfect spot for 2016 Democratic National Convention. Several elected officials have weighed in including: Senator Charles (Chuck) Schumer and Senator Kirsten Gillibrand; Representatives Jerrold Nadler (representing New York’s 10th district), Carolyn Maloney, (representing New York’s 12th district), Nydia Velazquez (representing New York’s 7th district), Yvette Clarke (representing New York’s 9th district) and Hakeem Jeffries (representing New York’s 8th district). Of course this is just the beginning of a very long conversation, but if each elected official could wave a magic wand all roads will lead to Brooklyn in 2016. As this is such a hot topic, we will continue to update you as events unfold. Today, I would like to make special note of Representative Yvette Clarke’s commitment to bringing the 2016 Democratic National Council to Brooklyn. The objective is to set the stage for a comprehensive look at her significant contributions, which date back to her early days as a member of the New York City Council representing Brooklyn’s 40th district. 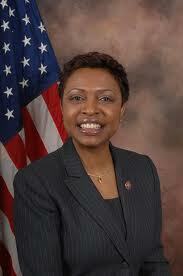 Representative Clarke has the distinction of succeeding her mother, Dr. Una S.T. Clarke, the first Caribbean-born woman elected to the New York City Legislature. 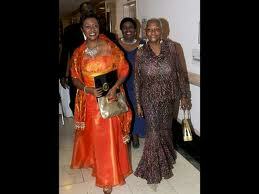 This was the first mother-daughter succession in the history of the Council. I cannot begin to tell you how excited I am to live in the district that both of these esteemed women serve as leaders. Of course the stage was sent for them many years ago by the late Honorable Shirley Chisholm, the first African-American woman and Caribbean-American elected to Congress. She would later run for President of the United States. In closing, I wanted to leave you with this quote which, in my opinion, says it all. 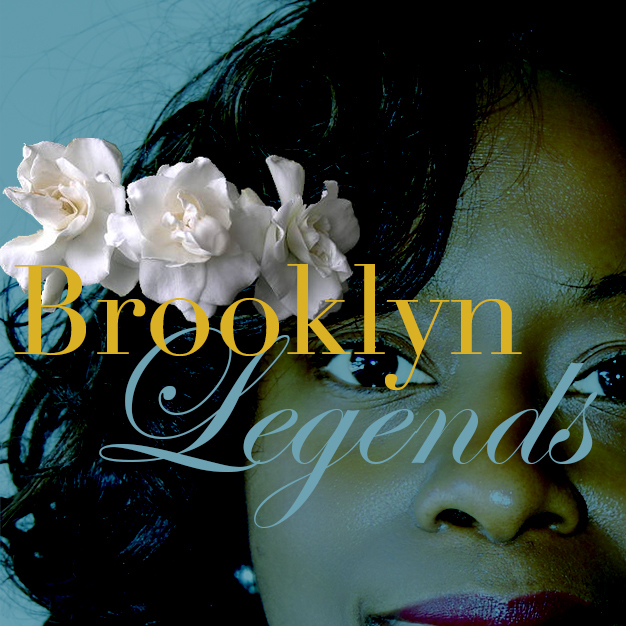 We at Brooklyn Legends are so proud to count Representative Clarke as one of Brooklyn’s favorite daughters. You will have a chance to learn more about her dedication in the coming weeks.